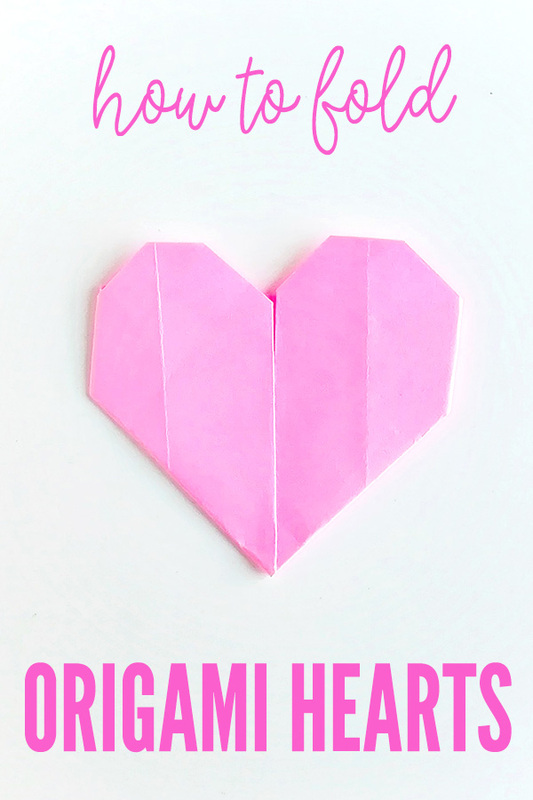 Origami is such a great challenge for school aged kids and these paper origami hearts can be easily added to a craftstick to make a fun bookmark – great as a Valentine’s Day craft for school kids…or just any day, really! 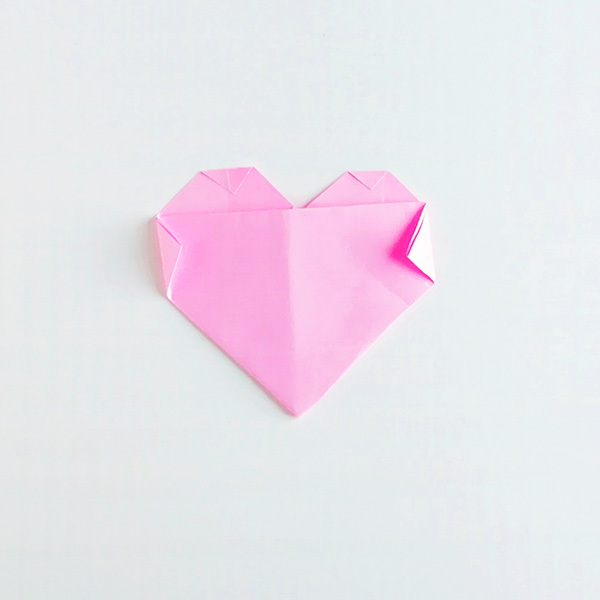 Origami is great for strengthening the essential, handwriting fine motor muscles of the fingers and hands, it requires children to concentrate closely and to follow a sequence of logical instructions. 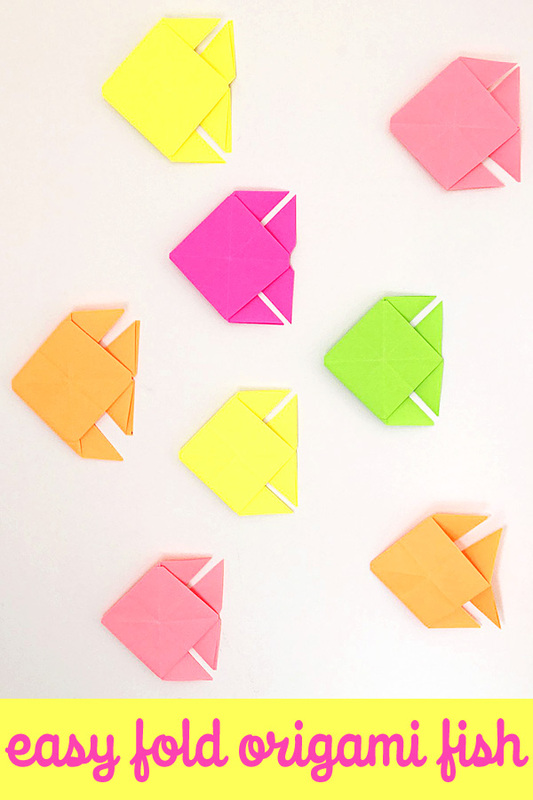 Plus it’s kind of addictive – you can’t just stop at one – our colourful school of origami fish is a case in point! 1. 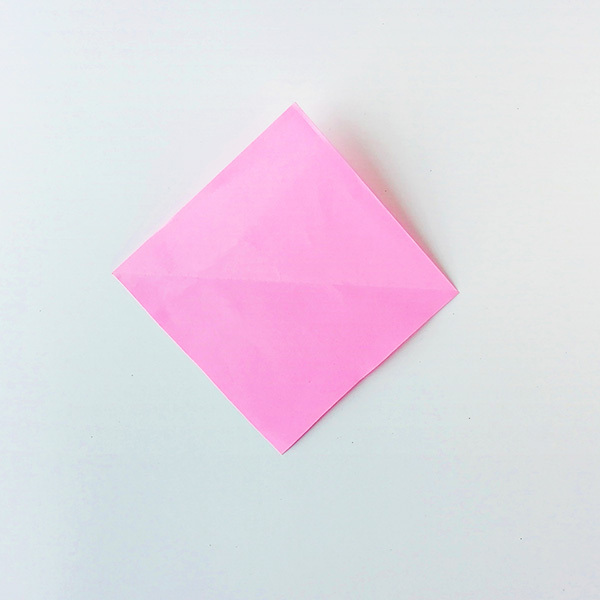 Start with a square piece of paper – 3in x 3 in/8cm x 8cm placed diagonally on the table top. 2. 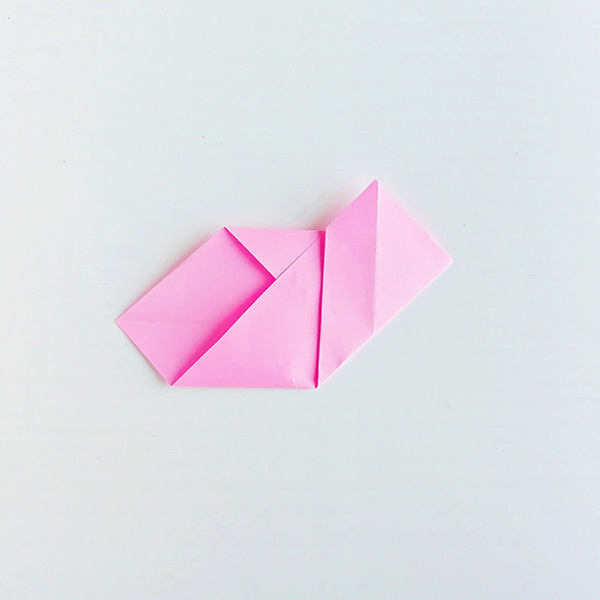 Fold the top point to the middle, crease and open again. 3. Fold the top point to the middle crease. 4. 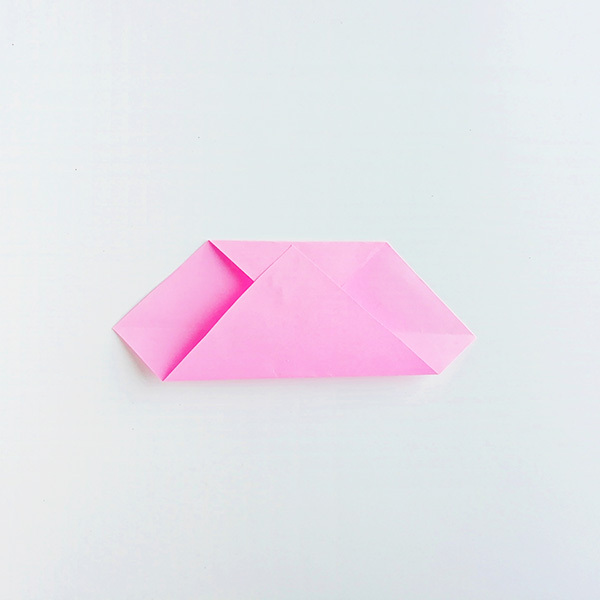 Fold the bottom point all the way to the top. 5. 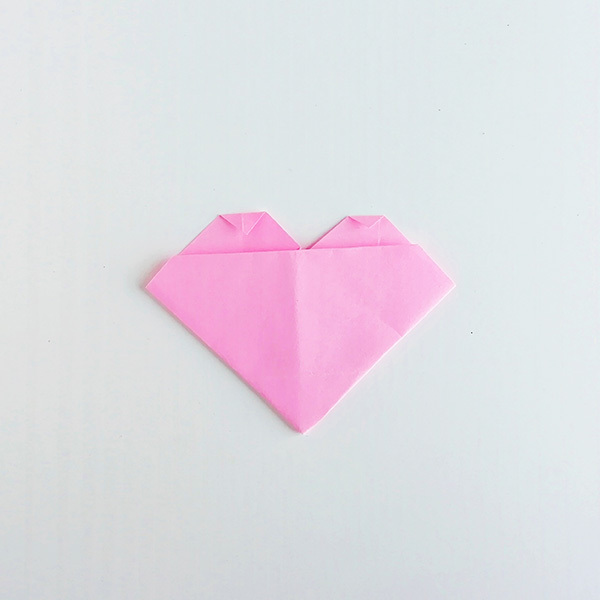 Fold the right side up diagonally so the bottom aligns with the middle of the heart. 6. Repeat for the left side. 7. 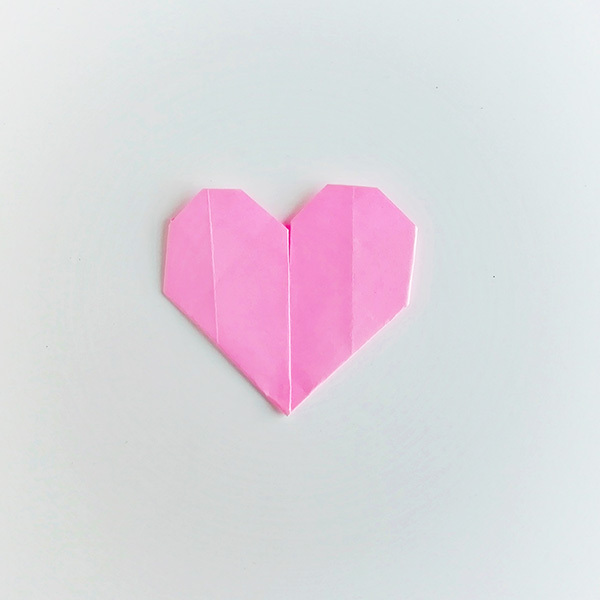 Flip the heart over. 8. 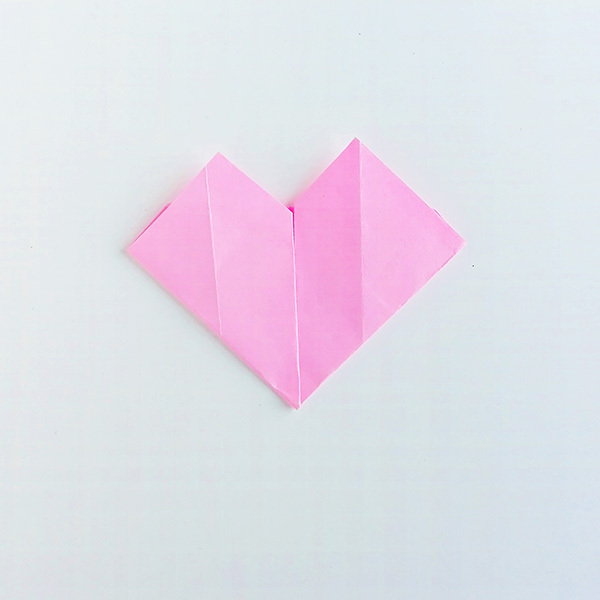 Make a small fold to each of the top points to flatten the top of the heart. 9. 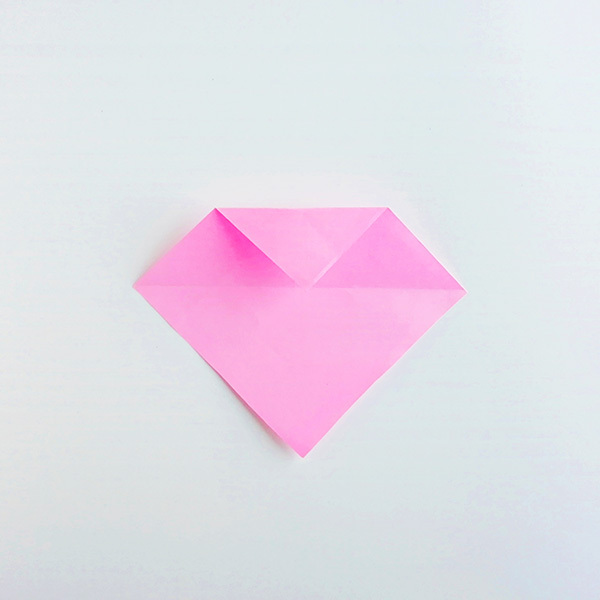 Make a small fold to each of the side points. 10. Glue these folds to secure. 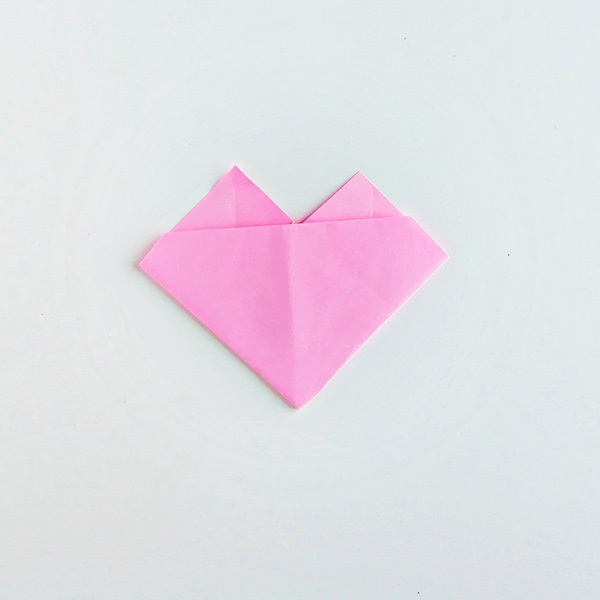 Flip over to see the completed paper origami heart. 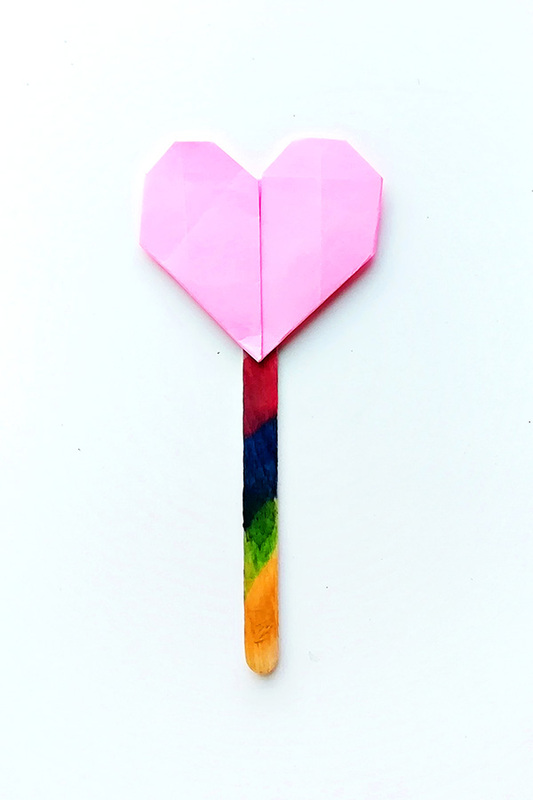 To use your completed origami heart to create a bookmark, you will need a craft stick, craft glue and marker pens (if you wish to colour the craft stick). 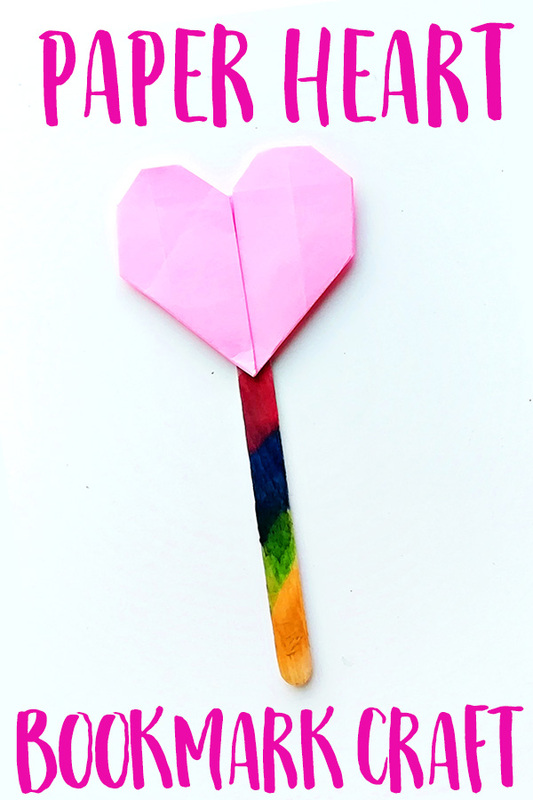 Simply glue the heart to the tip of your decorated stick and your origami heart bookmark is done. Gift to a special friend this Valentine’s Day or any day!